A vertebral compression fracture (VCF) is a break in part of the vertebra. The vertebra are the strong, round bones that form the spine. VCFs usually occur in the thoracic and lumbar areas of the spine which are mild to severe. One cause of these type of fractures is osteoporosis, which is a condition that causes our bones to become weak and brittle. Weak bones in people, can develop fractures by standing suddenly, bending forward, coughing, sneezing, or falling. Infections, cancer, and avascular necrosis of the spine can weaken the bones and cause fractures. Falls, sports, and accidents can cause fractures. The prevalence of spinal fractures vary. In those ages 60 and below, the rate is about 3%, whereas 19% of women ages 70 and older have them. Also, the prevalence rate of men is around 7.5%. Approximately 30% of people with VCF have two fractures. The most common site of VCF is between the first lumbar and the sixth thoracic vertebrae (middle spine). NSAIDs, such as ibuprofen, help decrease swelling, pain, and fever. NSAIDs can cause stomach bleeding or kidney problems in certain people. If you take blood thinner medicine, always ask if NSAIDs are safe for you. Do not give these medicines to children under 6 months of age without direction from your child’s doctor. Prescription pain medicine may be given. Ask your healthcare provider how to take this medicine safely. Kyphoplasty is a procedure that uses a balloon to make a space in the fractured vertebrae. Bone cement is then put inside the space made by the balloon. Bisphosphonates and calcitonin may be recommended to help your bones get stronger. They can decrease the pain of a VCF caused by osteoporosis, and decrease your risk for another fracture. Physical and occupational therapy may be recommended. A physical therapist teaches you exercises to help improve movement and strength, as well as to decrease pain. An occupational therapist teaches you skills to help with your daily activities. Surgery may be needed if your pain, weakness, or numbness does not go away after other treatments. Surgery may make your spine more stable, and help decrease pressure on your spinal nerves caused by the fracture. 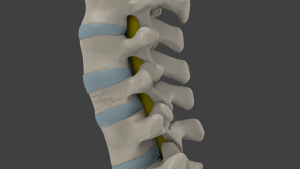 Vertebroplasty is a procedure used to place bone cement into the fractured vertebrae. Acetaminophen decreases pain and fever. It is available without a doctor’s order. Ask how much to take and how often to take it. Follow directions, as acetaminophen can cause liver damage if not taken correctly. 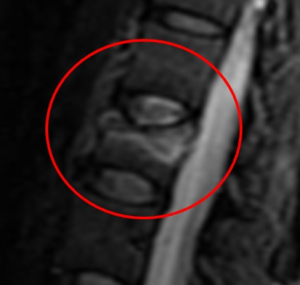 At Desert Institute for Spine Care, Dr. Yeddu is an expert in treating symptomatic vertebral compression fractures. He offers kyphoplasty for pain relief, with most insurance being accepted. Call today for top pain relief treatment in Gilbert AZ? Waterloo S, Ahmed LA, Center JR, et al. (2012). Prevalence of vertebral fractures in women and men in the population-based Tromsø Study. BMC Musculosk Dis, 13(3).